A change has definitely occurred in our house. Mondays begin with a bang and zipping backpacks instead the lazy “let’s throw the pool towels in the wash…” of only two weeks ago. And as much as I miss the freedom, it’s good to find our schedule bearings again. However, sharpening pencils and packing lunches makes me instantly wish for Autumn. Georgia still feels like the inside of a greenhouse and Fall feels months away. August is the time of both/and. Longer days and busier weeks. Scorching temperatures and the promise of something different on its way. 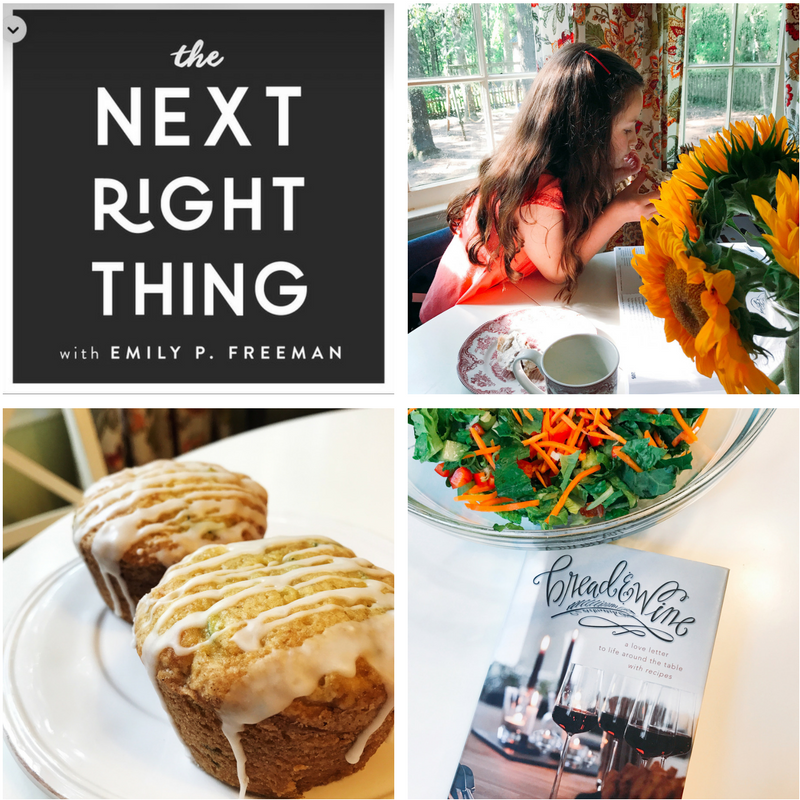 The Next Right Thing Podcast by Emily P. Freeman. In keeping with her goal of “creating space for your soul to breathe,” Emily has found another medium with which to gift us with her kind words. This podcast is for you if you find yourself in a season of transition, waiting, or decision making. Even the music is lovely and hope-filled. This Lemon Zucchini Bread made with Olive Oil. A sweet new friend and neighbor brought us muffins from this recipe and they were so good, we already replicated them to share with another friend. Speaking of which, I’m truly loving cooking from a cookbook lately. There’s a world of great recipes to find via Pinterest, but there is something about cooking from a page you don’t have to refresh every few minutes. Bread & Wine by Shauna Niequist is one of my favorite books in the whole world– and I’ve been cooking from it frequently. The Nightingale by Kristin Hannah. I know, all of you who told me this should be the next selection in my WWII binge– you were 100% right. It was beautiful and satisfying with gorgeous writing. Keep a Quiet Heart by Elisabeth Elliot. I’ve read this book multiple times but it always brings me something new. The brief essays are perfect for daily short readings. What about you? 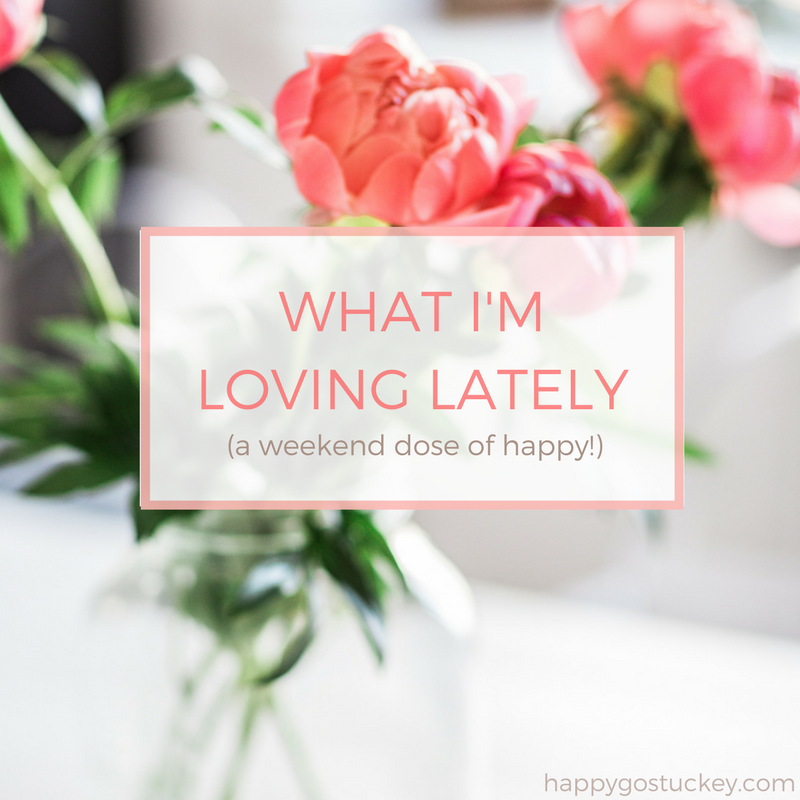 What are you loving lately? I’d love to hear what’s working for you in this end of summer/ not quite fall time.